This year marks the 26th anniversary of this festival, established by the Museum of Fine Arts, Houston and Rice Cinema. Screenings take place at both venues and at Asia Society Texas Center. SIAWE is a proud sponsor of this event. This year marks the 25th anniversary of this festival, established by The Museum of Fine Arts, Houston and Rice Cinema. Screenings will take place at both venues and at The Asia Society Texas Center. Following last year’s screening of Asghar Farhadi’s The Salesman, which went on to win the Academy Award for Best Foreign Language Film, this year’s selections include Breath, Iran’s 2017 Oscar submission. 24 Frames, the mesmerizing, experimental last film by internationally celebrated Abbas Kiorostami (1940-2016) will be shown both at the Museum and Rice Cinema. Highlight from the Mohammad Afkhami Collection of Contemporary Iranian Art will be exhibited at the Museum of Fine Arts, Houston and will be on view from July 1 to September 24, 2017. The exhibit will feature 23 Iranian-born artists across three generations, revealing the complex histories and identities of Iranians today. These works range across a variety of media, including painting , sculpture, photography, and video. Rice Iranian Society cordially invite you to Nowruz celebration party at Rice. Nowruz is the name of Persian new year which marks the beginning of spring. It is celebrated as the beginning of the new year by more than 300 millions people all around the world and has been celebrated for more than 3000 years. * Welcoming with a variety of traditional Nowruz snacks and sweets. * Dinner with traditional Persian dishes. *You can reserve a table with 8 seats and receive 10% discount. *Rice students can receive an extra 20% discount before Monday, March 20. Presenting the 24th edition of the Museum’s longest-running film festival, please join SIAWE for this years Iranian Film Festival. Screening will take place at the MFAH from January 20-24 with additional screening on January 25 at Rice Cinema. For more details regarding movie selection and showtimes, please click here. 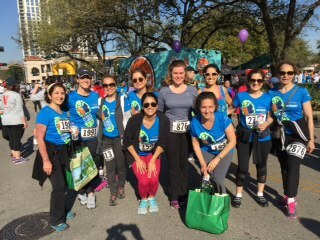 Please join SIAWE in an effort to support and raise funds for Houston Area Women’s Center by taking part in their 28th annual Race Against Violence 5K Run, Walk. To register for the 5K Run/Walk with SIAWE Team please click here. Houston Area Women’s Center helps individuals affected domestic and sexual violence in their efforts to move their lives forward. Funds raised for this event will support the Center’s 24-hour hotlines, offering a lifeline to those suffering from abuse or recovering from sexual assault. They also fund individual and group counseling sessions that help survivors move forward with their lives. They ensure that women and children escaping violent homes have a safe place to sleep, and so much more. from February 4-6, 2016. The Museum is honored by the presence of actress Fatemeh Motamed Arya. She is scheduled to attend a rare, Tuesday-night screening on February 2nd, accompanied by her husband, actor Ahmad Hamed. Another highlight of this year’s festival is a new documentary about artist Monir Shahroudy Farmfarmaian. Movies will be screening at the MFAH, Asia Society Texas Center and Rice Cinema. Please help SIAWE make someone’s holiday season special by donating to Houston Area Women’s Center. SIAWE is a proud sponsor of Art + Cuisine “Food for Thought: A Conversation on Persian Culinary Arts”, presented by Sussan Babaie, PhD. Professor of Arts of Iran and Islam, The Courtlaud Institute, and Award winning Chef and cookbook author, Najmieh Batmanglij. 6:30 p.m. – 8:30 p.m.
Presenting the 22nd edition of the Museum’s longest-running film festival, screening will take place at the MFAH from January 23rd to February 1, 2015, with additional films at Rice Cinema February 6 and 7. 2012 - 2017 © Copyright SIAWE. All rights reserved. Web Design by Networtech.